SalesPredict, a predictive B2B marketing solutions provider, announced the release of its new Predictive Revenue Automation platform, which enables users to launch fully-automated predictive advertising campaigns via a new integration with AdRoll. The integration will allow marketers to use SalesPredict’s predictive scoring, segmentation and insights to pinpoint the best potential leads, and launch a campaign to target them using display networks and Facebook advertising. Twitter integration is planned for the near future. 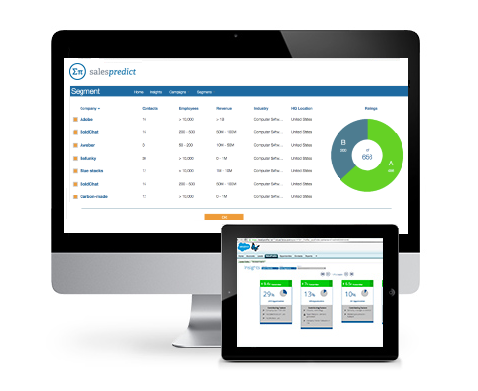 By combining predictive analytics with a company’s internal CRM and marketing automation system data — as well as the open Web and third-party data sources — SalesPredict aims to provide scores and insights that will allow B2B marketers to target the right prospects from the beginning of the buyer journey, and in turn drive revenue more effectively. “You’re only spending money on serving advertising to people you know beforehand are A and B leads,” Mansuri added.